New compelling ways to explore and celebrate rare photo memories. October 2018 brings exciting new updates to the iOS Photomyne app. We've been hard at work in making Photomyne better, for you. 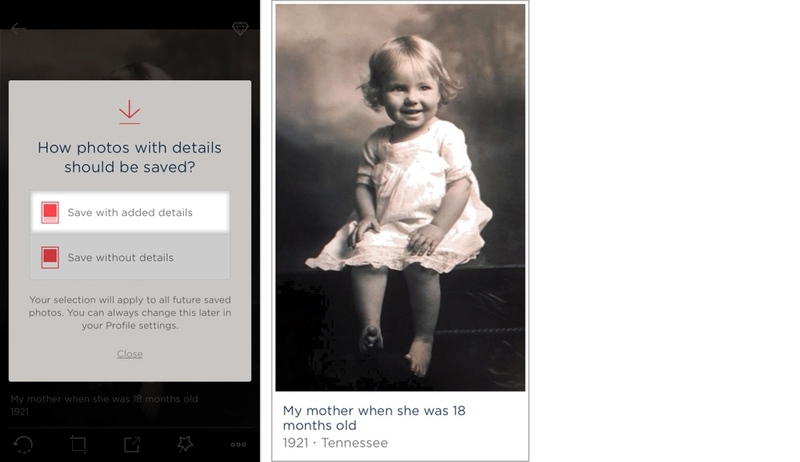 These updates are all about going beyond merely scanning old photographs: they're about exploring and sharing rare photo memories in new and exciting ways. If you've ever visited the Discover tab in the app, you've noticed the photo feed of shared scanned memories by Photomyners from all over the world. A new grid layout replaces the previous, Instagram-like view, so now you can discover more photo memories in a single view. The all-new Discover. 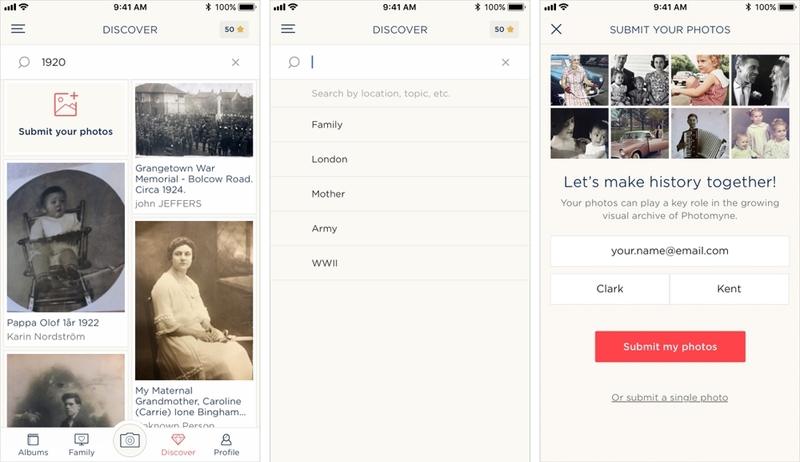 Tap the Discover tab (diamond icon) on the bottom navigation bar and start browsing rare vintage photos using the new search function. A brand new search field has been added to the Discover feed. Use it to browse photo memories from around the world, based on certain themes, topics, years, and locations that matter to you. You have the opportunity to take part in something big! Submit your photos to Discover and the first of its kind archive of personal history moments from around the world! Yes! That's right. You've been asking us about it for a while. 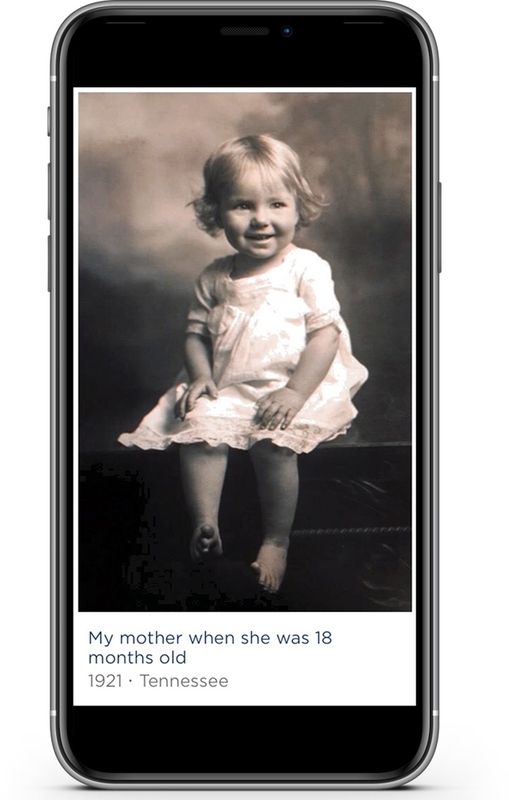 We're thrilled to announce that now with version 15.0, you can choose the option to save your photos along with the details you added: these include any names of people, location, year/date, and of course, the story behind the photo. Next, the app will ask you how you want photos with details to be saved. 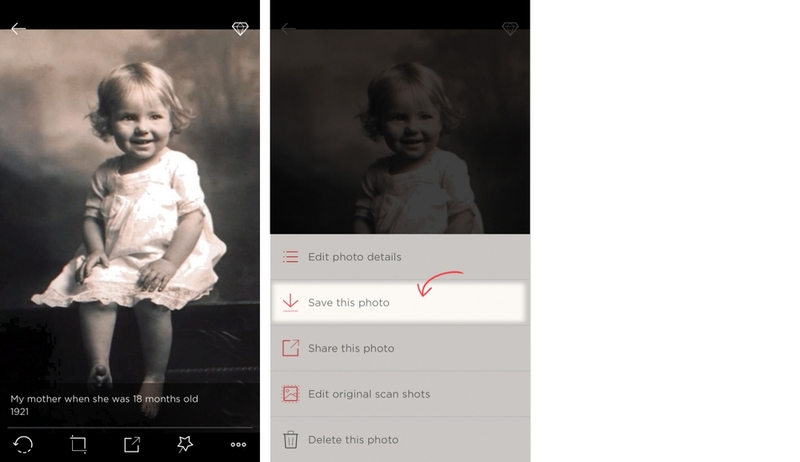 Choose the option to save photos with their added details. Your choice here will apply to all future photos with details (though you can always change it in your Settings). The end result is a photo saved along with the story behind it - the details that give it meaning. How cool and easy is that? Photomyne added a bunch of additional improvements to version 15.0, but not all can be easily detected or felt. We've made some general tweaks to the scanning algorithm and its color-correction component. This is to make sure your enhanced scanned photos get just the right oomph of color. For all release notes over time, check out the photo scanner app's list of updates.